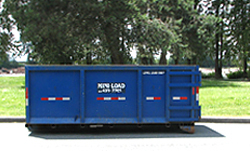 Below is a list of our current waste disposal bin sizes we have for rentals. We have a versatile selection of waste disposal bins that cover all types of requirements you may need. If you have any further questions or are unsure of what size of bin will fulfill your job requirements, please don’t hesitate to contact us. Our office number is (604) 431-7701. 2 feet high, 7 feet wide and 12 feet long. 2.5 feet high, 7.5 wide and 16 feet long. 4 feet high, 7 feet wide and 12 feet long. 4 feet high, 7.5 feet wide and 14 feet long. 4 feet high, 7.5 feet wide and 18 feet long. 6 feet high, 7.5 feet wide and 18 feet long. 7 feet high, 7.5 feet wide and 20 feet long.